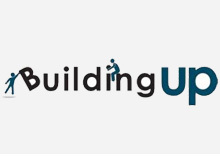 Building Up provides a springboard into construction trades employment for individuals living with employment barriers in Toronto, ON. Proud to be economically viable, environmentally responsible, and socially inspiring, Building Up offers a unique “no up-front cost” opportunity to Toronto property managers as they renovate properties toward lower energy costs. COS has welcomed Building Up as an Affiliate due to their commitment to low barrier employment and to a creative market entry model. Read more about Building Up.